Ana Milena Hernández Palacios and Christophe Penasse are partners in life and work. 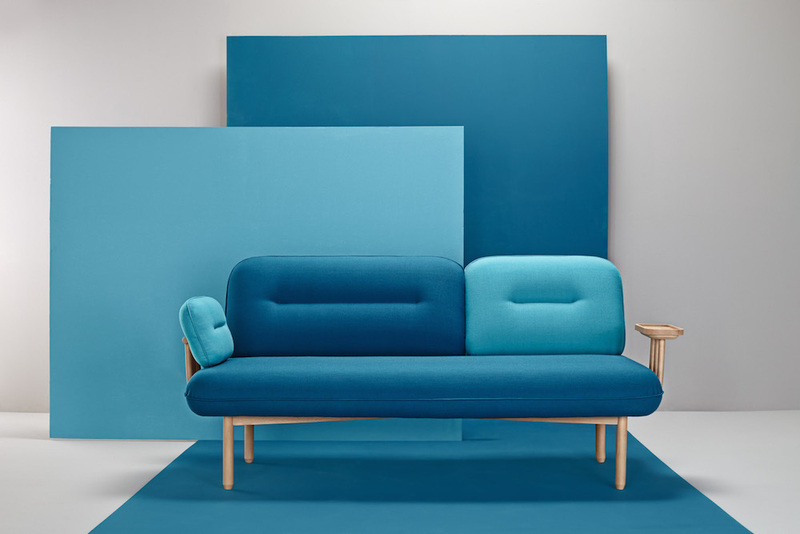 The dynamic duo behind award-winning creative consultancy Masquespacio, based in Madrid, are utterly passionate in their approach to design - their work is filled with joyous bold colour with a firm focus on fun and energy. They share with us the juggle of achieving the work, life and love balance in their partnership and their love for design. Hi Ana Milena and Christophe, they us about when you started working together, how did it come about? Christophe: When Ana finished her training, Spain was passing through a hard financial crisis with a lack of jobs for interior designers. The available jobs were mainly focused on the technical part and construction while Ana was more interested in the creative part. This is why we decided to start our studio. In the beginning we started as a conventional interior design studio mainly focused on interior design for homes, but we felt that to explore Ana’s creativity it would be more interesting to find our way on the hospitality and retail markets. L'Atelier Rouge campaign by Masquespacio. What’s the best part about working together? Christophe: Although we don't always agree with each other, we have the same goals and help each other reach them. L'Atelier Rouge Communication campaign by Masquespacio. What are your roles in the partnership? Christophe: Ana Milena is Masquespacio’s Creative Director and is 100% focused on designing and find solutions on each project together with our architectural team. I have a more versatile role, I have my vision as a Marketeer on each design and on business trends, as well as being in charge of our communication, project management and sales. Tell me about your design process - how does it evolve from conception to finished work? Christophe: The process for us starts way before the design process. First we need to know, understand and study our client and their business before starting. After having knowledge of the previous requirements there is a wide process of inspiration as well before starting to design. Colour plays a really big role in your work - why is it so important? Ana Milena: We design for people with a specific character, lifestyle and likes and part of this is transmitted through colour. The Masquespacio studio in Madrid designed by Masquespacio. It looks like fun and energy are a vital parts in your designs why is it so important? Christophe: Yes it really is! At the end when you enter a space as a customer/client you want to feel and live a new experience. We want people to feel comfortable in the space we designed and feel something special that makes them go back home with a happy feeling. Pizzeria Albabel in Picaña designed by Masquespacio. Ana Milena - what’s the one thing about Christophe that you admire the most? The way Christophe is able to communicate our work and express what our studio stands for. Christophe - what unique quality does Ana Milena bring to the partnership? Passion, firstly. She's a passionate person about it shows in her work. She doesn’t do this to earn money, but purely because she likes it and it satisfies her personally. She lives design 24 hours a day in every sense. What are you most proud about since you started working together? Christophe: Possibly that we've been able design a lot of projects, without a lot of experience in the beginning - we feel proud to fulfilled the dreams of our clients. What are you loving at the moment? Christophe: We enjoy our life, the nice conversations we have with clients, the opportunity to work on projects outside of Spain and we're due to visit new cities, as well as new restaurants and hotels around the world. The Masquespacio studios in Madrid designed by Masquespacio. What are you looking forward to? Ana Milena: We're really excited about the launch of projects we have been working on the last nine months, as it's a reward of our hard work, we're also looking forward to have the chance to start to create new exciting projects.